A Russian space official says the hole responsible for the leak was deliberately drilled. 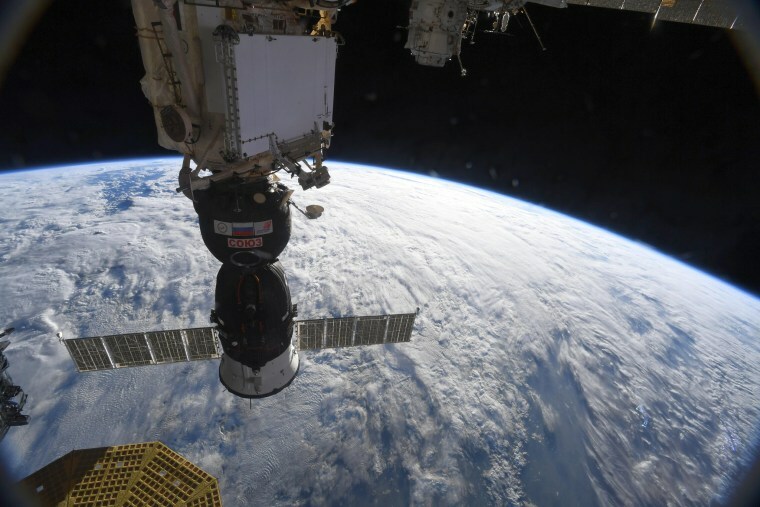 The chief of Russia's space agency is claiming that the small hole that caused an air leak on the International Space Station last week wasn't caused by a meteorite, as originally thought, but was deliberately drilled and could be evidence of sabotage. "We are considering all the theories," Dmitry Rogozin, the space agency chief, told the Russian news agency Tass on Monday. "The one about the meteorite impact has been rejected because the spaceship's hull was evidently impacted from inside ... It was done by a human hand — there are traces of a drill sliding along the surface." The hole, a 2-millimeter (0.08-inch) perforation that was found last Wednesday in a Soyuz spacecraft docked at the station, could have been an "accidental defect" introduced during construction of the craft or a "deliberate spoilage," Rogozin told Tass, adding that it could have been made on Earth or in space. "Now it is essential to see the reason, to learn the name of the one responsible for that," he said. "And we will find out, without fail." A NASA spokesperson declined to comment on the report, but the agency said last week that a commission had been convened to determine the source of the leak, which was successfully sealed on Thursday by astronauts aboard the station. A former Russian cosmonaut raised the possibility that an astronaut could have drilled the hole in an effort to force an early return to Earth, Agence FrancePress reported. "If a cosmonaut pulled this strange stunt — and that can't be ruled out — it's really bad," Maxim Surayev told Russian state news agency RIA Novosti, according to AFP. "I wish to god that this is a production defect, although that's very sad, too — there's been nothing like this in the history of Soyuz ships." But there may be a more prosaic explanation for the hole, which astronauts sealed with tape and epoxy-laced gauze. Russia Today reported that a source with Energia, the maker of the Soyuz spacecraft, said the hole had been made on the ground by a worker who accidentally drilled it and then — rather than reporting the mistake — simply sealed it. The seal held for the two months the spacecraft has been in orbit before drying up and being dislodged by air pressure, according to the report. NASA said the station's cabin pressure was holding steady after the repair and that the six astronauts aboard were not in danger.